Podcasting can be an effective way for educators to teach lessons outside of the classroom. 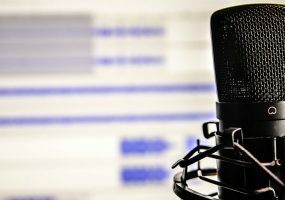 Here is how to get started with your own podcast. TechDecisions speaks with Sam Pemberton of Imperial Software about EdLink mobile device management, BYOD, and analytics in K-12 school environments. Apps are a part of everyday life at this point. With over 80,000 educational apps for Apple alone, they’re also a part of everyday learning. Utilizing an automated registration system helped Ryan Adkins make Yorkville Community Unit School District 115 more efficient. School districts are increasingly moving to a 1:1 format for several reasons. Here are tips from the technology director at Ignacio School District. A pioneering principal reflects on her first year of using video to empower teacher growth. Learn how she changed her institution’s processes. A veteran teacher shares how she uses soundfield technology and audio systems to continuously take the pulse of her classroom.